Mirror mirror on the wall, which is the prettiest garden of them all? 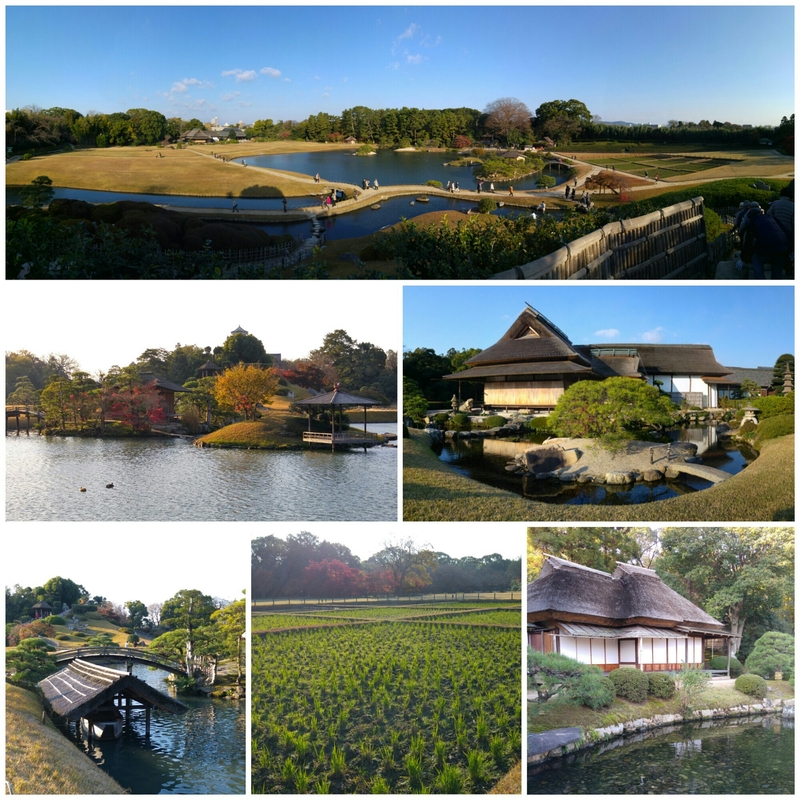 As we had spent the previous day doing side trips out of 岡山 Okayama, we ended up visiting 2 very famous gardens today, 後楽園 Koraku-en at 岡山 Okayama and 栗林公園 Ritsurin-koen at 高松 Takamatsu. 後楽園 Koraku-en had the reputation of being one of the 日本三名園 Nihon Sanmeien. 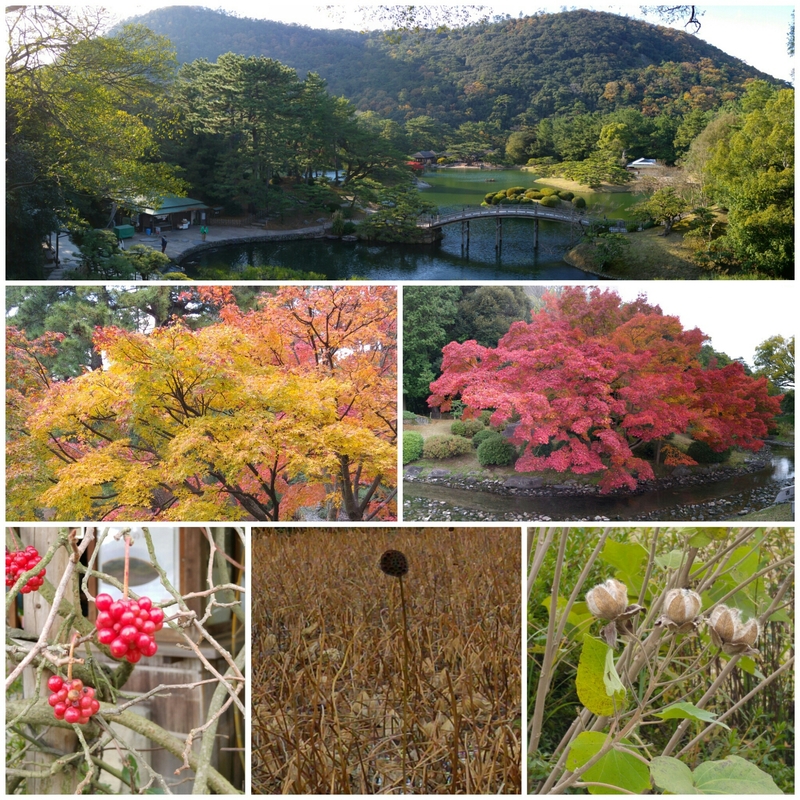 Three Great Gardens of Japan, while many claimed that 栗林公園 Ritsurin-koen was even better! Having been to 兼六園 Kenroku-en, another of the top 3 gardens in 金沢 Kanazawa during our previous trips, we had very high expectations of these 2 gardens! Does 後楽園 Koraku-en live up to its reputation? Why do people say that 栗林公園 Ritsurin-koen is better? Since 後楽園 Koraku-en was a short tram ride away from the hotel that we were staying at, we visited it early morning (¥400 per adult). Blessed with good weather, it was a very lovely walk for the morning! This was not a huge park, and we spent an hour or so here. Compared to 兼六園 Kenroku-en, this garden was pleasant, but not as impressive, plus 兼六園 Kenroku-en had free early morning entry. However, we could see 岡山城 Okayama Castle from the garden, so this side attraction made it even more value-for-money. Fast forward 5 hours later, we arrived at 栗林公園 Ritsurin-koen (¥410), and 2 hours into our stroll, we were left wondering why 栗林公園 Ritsurin-koen did not make it to top 3? Was it because it was at a more ulu location? Or was it too new compared to the top 3 gardens? This was a huge park of about 75ha, with plenty more to see, from greenery to still beautiful autumn foliage, to withering beauty. 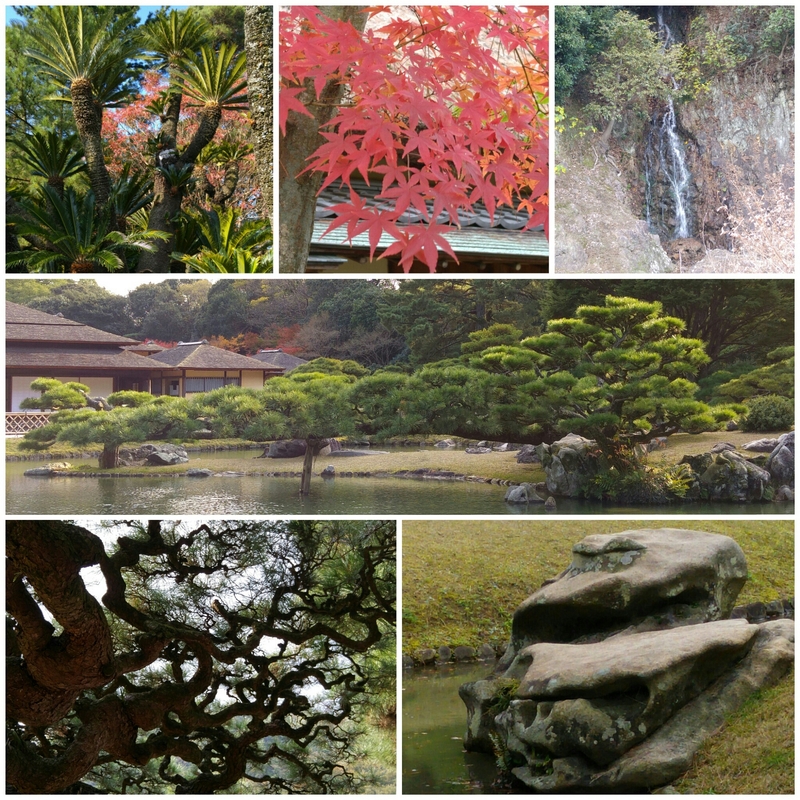 There were trees much like bonsai, odd-shaped natural rocks and a mini waterfall. The garden also had the mountains as its backdrop! Unbeatable beauty and vastness, and we had a very lovely time here. 後楽園 Koraku-en – Koraku-en (後楽園, Kōrakuen) is a beautiful landscape garden and Okayama’s main attraction. Along with Kanazawa’s Kenrokuen and Mito’s Kairakuen, Korakuen is ranked as one of Japan’s three best landscape gardens. It is located just beside Okayama Castle, which can be seen from the garden as “borrowed scenery”. 栗林公園 Ritsurin-koen – Ritsurin Koen (栗林公園) is a landscape garden in Takamatsu City, built by the local feudal lords during the early Edo Period. Considered one of the best gardens in Japan, it is often suggested that Ritsurin Koen deserves a spot on the list of the “three most beautiful gardens of Japan”.